After 755M left the Lamar Canyon pack, he was observed with two different females over the 2013 summer until he met up with 889F (previous member of the Junction Butte pack). 889F denned unsuccessfully with 890M (previous Junction Butte pack member, and current alpha male of the Junction Butte pack) during the same summer. The 2014 breeding season changed group dynamics as 755M was observed near the Junction Butte alphas and the black adult female. 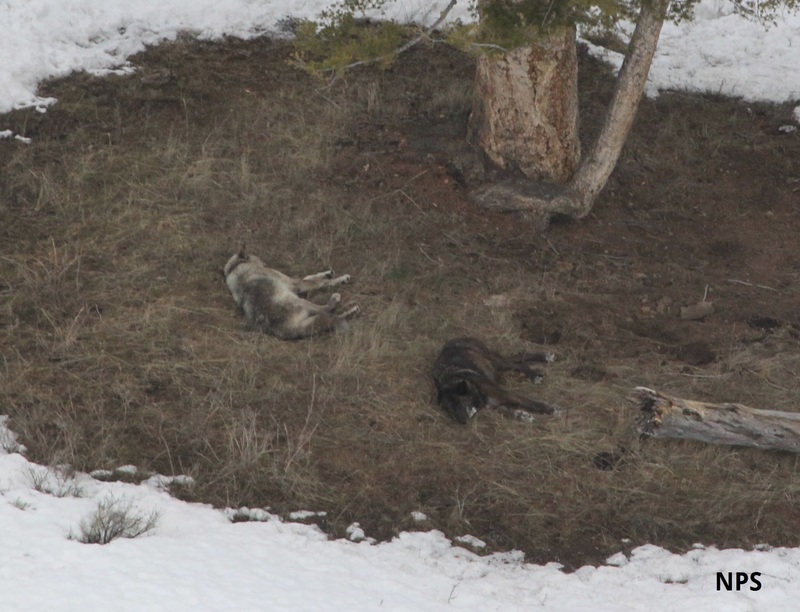 After the breeding season, 755M, 889F, 911M (previous Blacktail wolf) and the black adult female from Junction Butte were observed together, with 911M and the Junction black adult female appearing to be dominant. As denning season approached, 755M and 889F became autonomous again but 889F has not appeared to den, or if she did den she did not appear to den successfully. By May 2014, this pair no longer traveled together. 755M Unknown Black Male 11 Uninfected 2008 This black wolf is turning gray, so he is often mistaken as a gray wolf. He has travelled widely for years, joining new packs or forming his own. He founded the Wapiti Lake Pack in 2015 with an uncollared gray female. He may have joined the Beartooth Pack in late 2016.